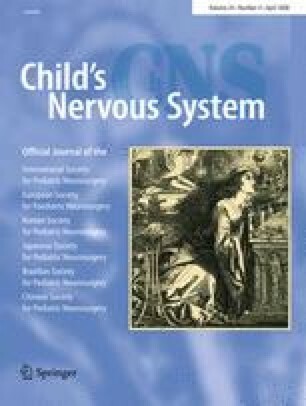 Raised intracranial pressure (ICP) has been previously associated with craniometaphyseal dysplasia (CMD). To our knowledge, expansile cranioplasty has not previously been described as a treatment for raised ICP in this setting. We describe our evaluation and surgical management of a patient presenting with seizures, headaches, and CMD. An 18-year-old male presented with seizures, headaches, and diminished visual acuity, and was found to have chronic bilateral papilledema. Lumbar puncture demonstrated raised opening pressure (50 cm of water). Plain skeletal radiographs revealed long-bone dysplasia, and computed tomography (CT) of the head demonstrated diffuse thickening of the calvarium, diminished subarachnoid spaces, and slit ventricles. The raised ICP was managed with bilateral fronto-parieto-temporal expansile cranioplasty and right optic nerve sheath fenestration. At 6 months follow-up, the headaches and papilledema completely resolved. The visual acuity improved as did the seizure control. Follow-up CT demonstrated the normalization of the subarachnoid spaces and ventricles. Expansile cranioplasty, in conjunction with optic nerve sheath fenestration, may represent a safe and effective treatment for raised ICP associated with CMD.